Dairy Free and On-The-Go Breakfast Ideas That Guarantee A Good Start! 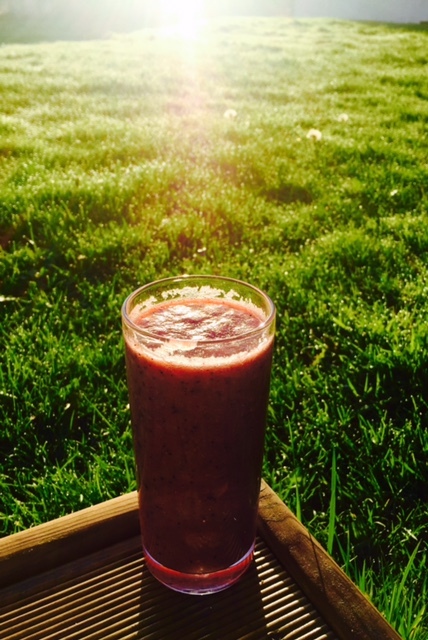 I was asked to share some ideas on dairy free breakfasts and breakfasts on the go. 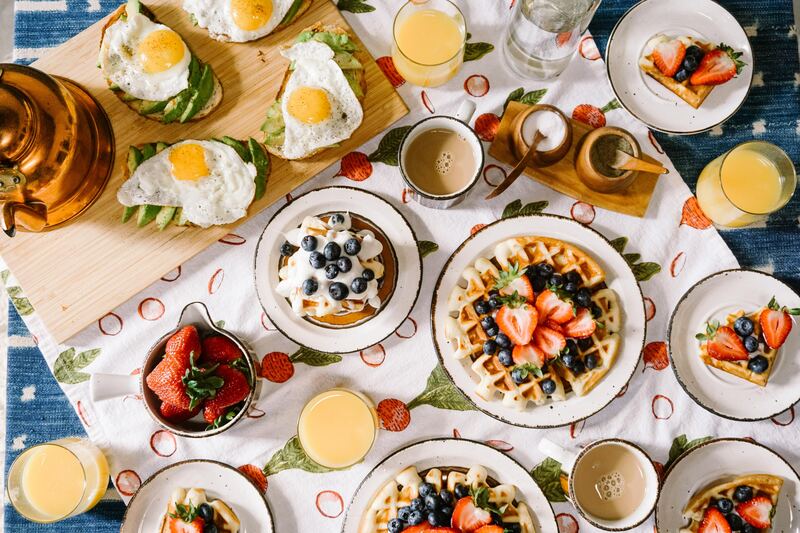 I absolutely LOVE breakfast, I am one of those people who believes in the old adage “eat breakfast like a king, lunch like a prince, and dinner like a pauper”. 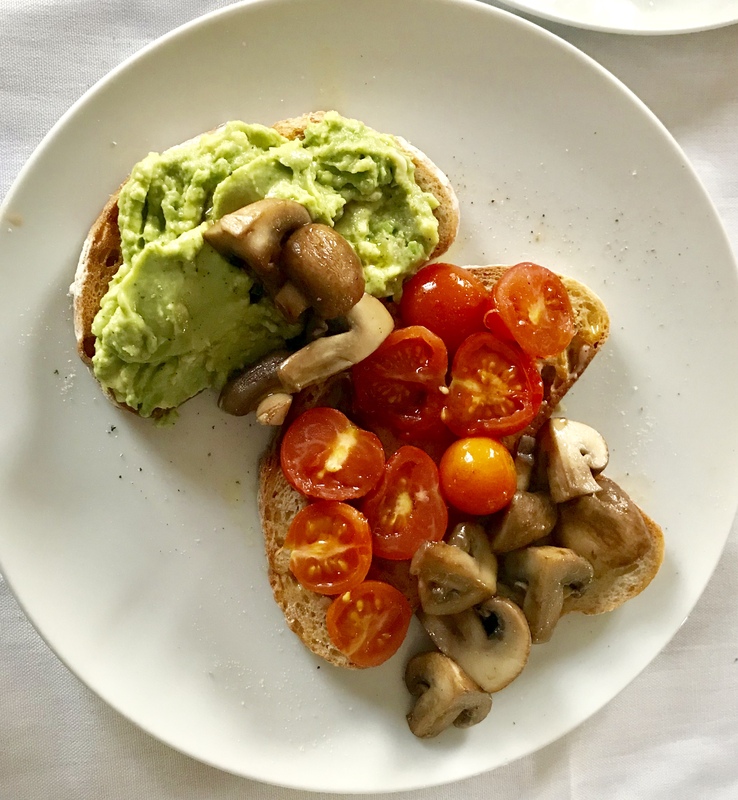 I also think eating a good breakfast can help people who are trying to lose weight, as eating a substantial healthy breakfast at the right time can keep you full up until lunchtime. So without further ado! Here is my list of ideas. Quite a few of these ideas can be packed up to eat on the go, I have made some notes where relevant. Dairy Free Yoghurt, Berries and Granola. Alpro or Co Yo yoghurt are great dairy alternatives – I quite like Alpro, it’s a fraction of the price of co-yo and they do a range of flavors now including coconut. A new trick I have learnt to make your yoghurt super healthy is to take plain yoghurt and pop it in a blender with half a cooked beetroot, a handful of your favorite berries and a teaspoon of agave syrup (or honey/maple syrup) and whizz it up in a blender. It makes a beautifully bright nutrient packed yoghurt. Pop the yoghurt in a bowl, with sugar free granola or muesli – The Dorset cereals range have many sugar free versions, or if you have time make your own using my recipe. I made this the other day and made it look quite fancy – Valentines breakfast bowl maybe? You can simplify the effort by just having fruit, yoghurt and throwing some mixed seeds over the top. Or having the granola with some almond/soy/cashew milk and top with berries. 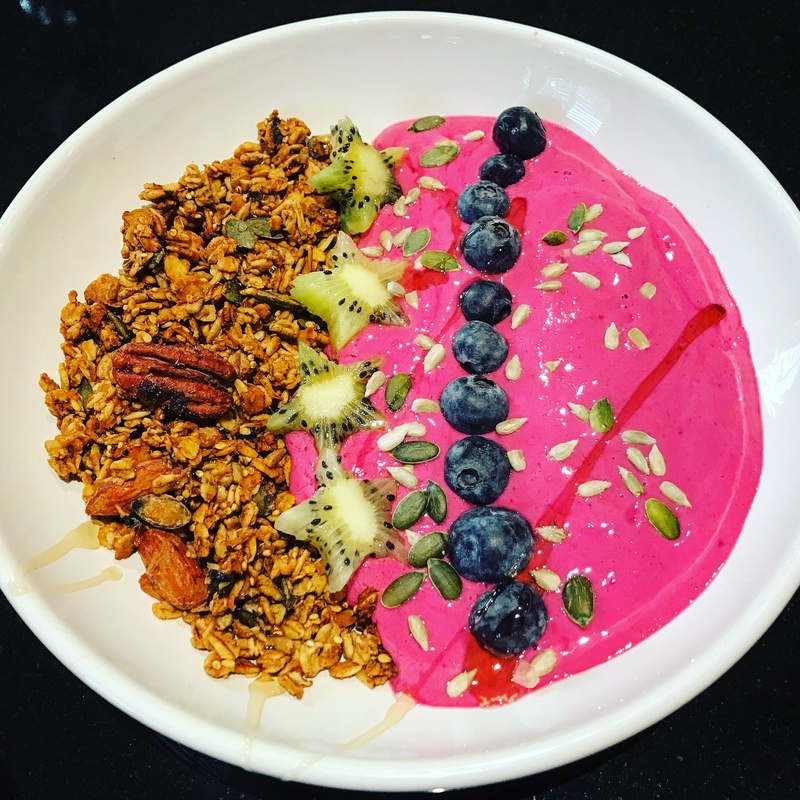 For those of you on the go – the yoghurt/granola/berries breakfast travels well. An obvious option for a dairy free breakfast for this time of year is porridge with almond/cashew/Soy milk and I always chuck some berries on top. When you are on the go, I used to make up porridge and pop it in an insulated travel mug to eat on the train. You can also make porridge with quinoa or chia seeds. Cooking quinoa in milk (cow, soy, or almond), adding some sweet spices like cinnamon and topping with fruit makes for a great substitute for classic hot breakfast cereals. Quinoa is high in protein and essential amino acids like lysine, which is essential for tissue growth and repair. Simply put all the ingredients into a pot and bring to a boil. Then simmer, stir, top with your favorite add-ons, and enjoy! (If you are avoiding bread, rye bread or flaxseed breads are good alternatives). A slice of wholemeal toast with smashed Avocado on top. I smash up half an avocado with some extra virgin olive oil and plenty of seasoning and smother it over the toast with a fork. 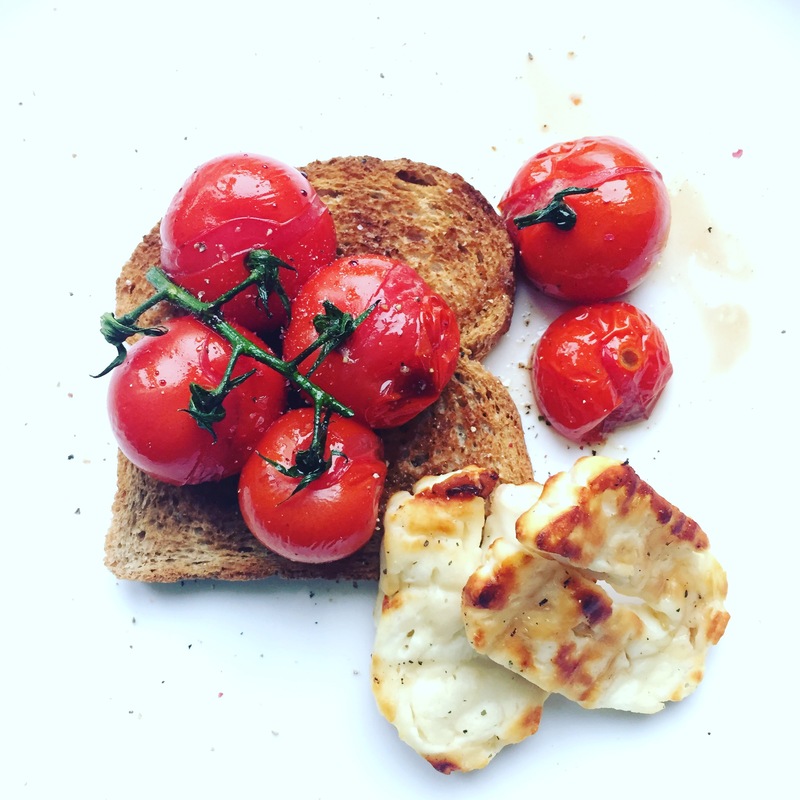 A slice of wholemeal with vine tomatoes roasted in balsamic vinegar and olive oil. This is favorite at Breathing Space. Drizzle the tomatoes with olive oil and some balsamic vinegar and pop in the oven on a medium heat for about 15-20 mins until they caramelise a little – truly yummy! A slice of wholemeal with some chestnut mushrooms on top that have been fried in a little olive oil. Mashed banana on wholemeal toast or rye bread – you can make this into a sandwich and pop it in a breakfast box. You can make a really tasty brunch at the weekend with a combination of these and for those of you who are not avoiding dairy, I often add some grilled halloumi! Eggs are a nutritious way to start your day and there are ways that you can prepare them so that you can eat them on the go. They contain high-quality protein, fat, iron, vitamins, minerals, and carotenoids. For something REALLY simple, just hard boil a couple the night before and pop them in the fridge. Then transfer to a breakfast box with a little spinach and half a wholemeal pitta bread. 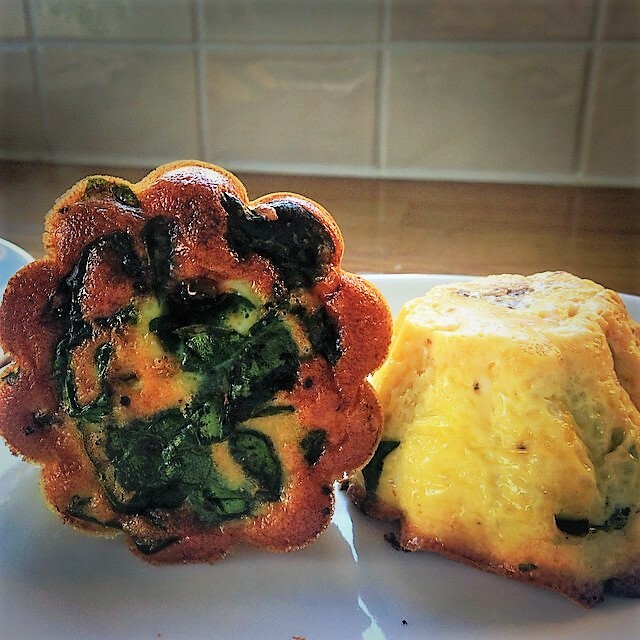 If you have time at the weekend you can make up some veg and egg muffin cups by finely chopping up some veggies like: Spinach, peppers and mushrooms and frying them off in a little olive or rapeseed oil (add garlic if you like). Whisk up 4 eggs with a splash of plant based milk or skimmed milk and a good amount of seasoning – you could add worcester sauce/hot sauce – add the veggies and pour into silicone muffin cups and cook in the oven for about 15-20 mins on 170c. These can be eaten warm or cold. When you have more time at the weekend, you can’t beat (excuse the pun!) 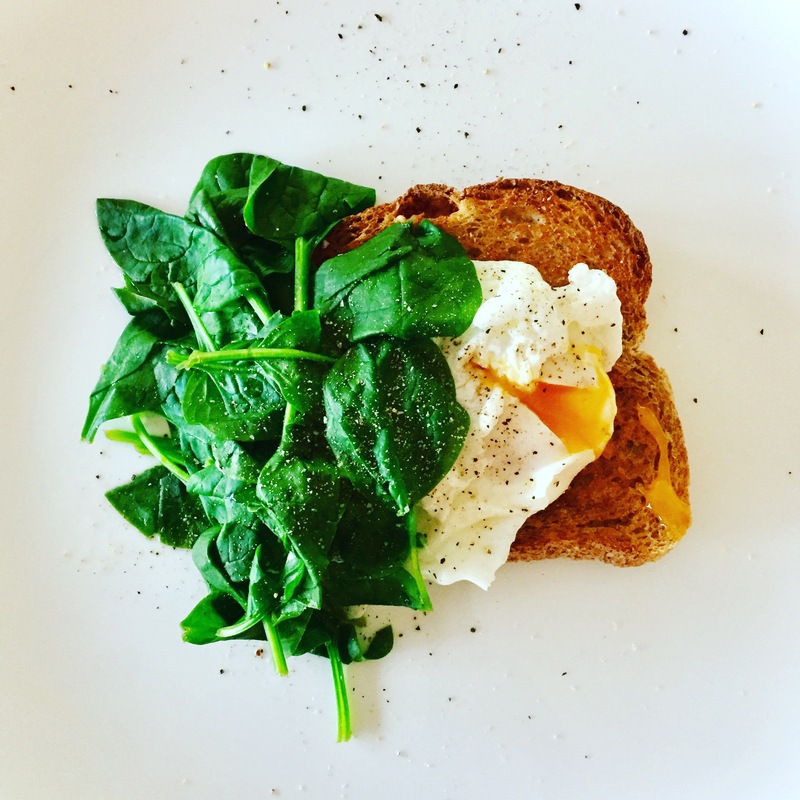 a runny poached egg on wholemeal with a little wilted spinach. Or! A runny poached egg resting on some lightly grilled or roasted asparagus and tomatoes. Enjoy a great start to you day folks!